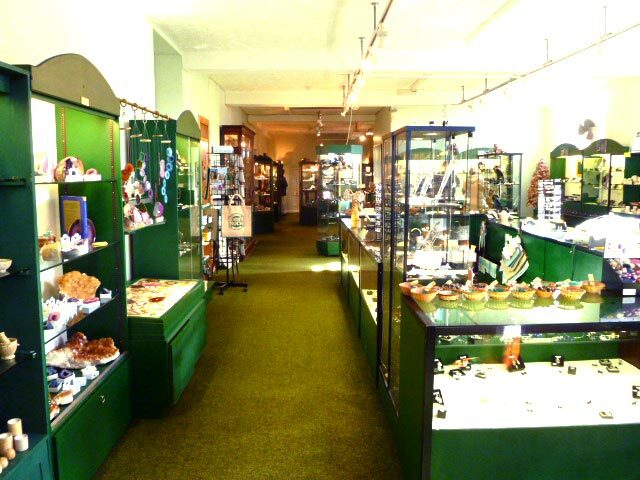 The Gem Rock Shop offers one of the best selections of gemstone jewellery, gifts and collectibles in Scotland. 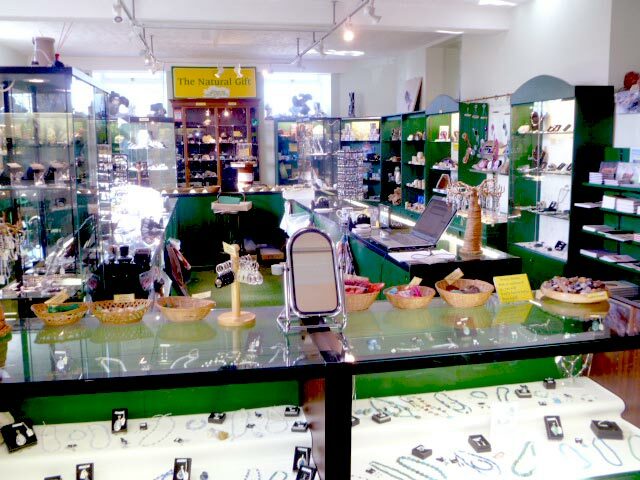 It is jam packed full of a huge selection of silver gem set and beaded jewellery, with styles for every taste and prices for every pocket. We also sell a lovely, unique selection of gifts and collectibles – for example, agate book ends, onyx marble bowls, candle holders and carvings. Beaded jewellery can be made to order and Tim, a gemologist and lapidary, can cut, polish and set stones to order too. The avid collector will also find a huge selection of fossils and minerals of all shapes and sizes and there’s a children’s corner with toys and gifts with a Gem Rock focus – for example, grow your own crystals, gold panning kits, dinosaurs and the famous Creetown gem bugs. The crystal healer – or just those interested in the various properties of the stones – will also find a huge selection of carvings, wands, spheres, eggs or just simply tumbled stones. Please also see our online shop and visit our home page for opening times and contact details. Our experienced shop staff are always happy to help, so come in and have a browse – or telephone orders are also welcome. We are happy to send photographs of individual pieces on request.